BELLEVUE, Wash., Nov 16, 2017 – To help Americans plan for the biggest shopping days of the year, Expedia.com® today unveiled their incredible 2017 Black Friday and Cyber Monday travel deals. A recent survey1 revealed nearly 77 percent of Americans would love to receive a vacation as their holiday present this year, and a global study2 of 17,000 people found that 94 percent of teens prefer a family vacation over a new toy or game. Expedia wants to help people check off their family’s wish lists with special Black Friday and Cyber Monday deals and coupons that will run across the site. This year’s top-notch coupon savings include 75 percent off select hotels in destinations like Los Angeles, Dominican Republic, Los Cabos, San Diego, Miami, Las Vegas and more. Travelers can also save a whopping $750 on select travel packages and up to 90 percent off select hotels by booking through the Expedia app, making it an amazing time to book that much needed post-holiday getaway or next year’s family spring break. To help get travelers in the holiday spirit, Expedia is doing a little gift giving of their own. Starting today, Expedia is giving away two million Expedia+ points for both existing and new members. Simply sign up to join the Expedia+ loyalty program online and then visit the Gift of Travel homepage to claim your share of the two million points while supplies last. Points will be loaded into your account just in time for Black Friday so travelers have the option to combine points with promotional coupons for even bigger savings. And remember, there’s no required minimum for when you can redeem your points, so members have the flexibility to use as little or as many as they like depending on how much they want to save. Members can make savings easy by using any combination of points and money to save. Expedia’s Black Friday and Cyber Monday sale officially kicks off on November 24, with new deals on hotels, flights, cruises, rental cars and packages, beginning at 9 a.m. PST. Cyber Monday sales kick off at 9 a.m. PST and will refresh hourly until 3 p.m. PST. Deals booked on Black Friday have a travel window of November 24, 2017 – March 31, 2018 and Cyber Monday deals have a travel window from November 27, 2017 – March 31, 2018. COUPONS: These coupons are first-come, first-serve, and limited quantity. Save 75% on select standalone hotels while supplies last! COUPONS: These hourly deals start at 9 a.m. PST/12 p.m. EST and will refresh every hour, on the hour, until 3 p.m. PST/6 p.m. EST. So, if you miss out one, you can keep coming back. Travelers can access all of Expedia’s Black Friday and Cyber Monday deals by visiting https://www.expedia.com/g/rg/black-friday-cyber-monday-global and check out other exclusive deals on the award-winning Expedia app, which is available for download on iOS and Android devices for free in the App Store and Google Play. © 2017 Expedia, Inc. All rights reserved. 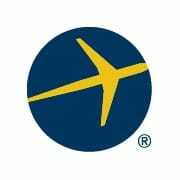 Expedia and the Airplane logo are either trademarks or registered trademarks of Expedia, Inc. in the U.S. and/or other countries. Other product and company names mentioned herein may be the property of their respective owners CST # 2029030-50. Visit our web site https://www.expedia.com/ or use our mobile app to book cheap flights and hotels. 2This study was conducted on behalf of Expedia by Northstar, a global strategic research firm. This survey was conducted online during the month of May 2017 across North America, Europe, South America and Asia Pacific using an amalgamated group of best-in-class panels. The study was conducted among 17,079 respondents across 28 countries – including 5,570 teens (aged 13-17), 8,486 parents (aged 18+) and 3,023 non-parents (aged 18+).